You've made the decision to install vinyl siding on your Hillard house. You've either been in a cycle of painting, or have just made the decision to make your house maintenance free once and for all, what are some tips to ensure you'll choose the right contractor and receive the best looking and best lasting job possible? 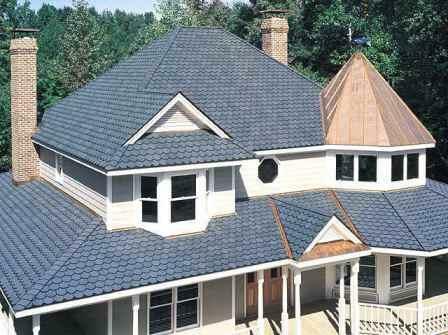 First make sure the Hillard siding contractor is a local and reputable company. Ideally, if you have either seen their work in person, or were referred to them by a friend or colleague you will be well served. A local company should also have a track record of quality work and happy customers. Next ask for completed jobs to review. If they have been in business for a while (and you wouldn't want to hire them if they haven't been), they should have a stable of jobs for you to review their work in person. It's best to get some recently completed projects as well as some from several years ago to see how the workmanship and materials have held up. Make sure the Hillard contractor is licensed, insured and will pull a permit with your local building department. Any contractor or installer that asks you to pull a permit yourself, pulls it under someone else's name or worse, doesn't pull one at all raises an instant red flag. Your local building department is your friend and you should insist that a permit is included for your job. If you do not have a referral from a close friend who has recently had an installation, and you are receiving several bids, closely review the proposals. Are the proposals " apples to apples "? Does one include gutters and downspouts while one does not? Will there be any add-ons such as disposal fees, removal of existing aluminum or the like? Are all using the same or similar materials? It is important to review all aspects of the contractor and their estimate. Don't just buy on price! Obviously you never want to overpay but ensure that you are getting a quality job and one that is worth the price paid. The road is littered with homeowners who went with the lowest price only and have suffered through a sub-par install, poor quality materials, countless repairs or a contractor that disappeared altogether. A good rule of thumb is to get several estimates and throw out the lowest, throw out the highest and choose one in the middle. While any project entails some risk by following the advice above you will minimize the chances of a bad experience or fly by night contractor, and maximize the odds for a quality, properly priced installation that will enhance your property for decades to come. If you are looking for Hilliard Vinyl Siding Contractor services, please call us today at 614-263-8899 or complete our�online request form.